Browse exceptional destinations, hotels, resorts and activities around the world which will make you wish birthdays didn't come just once a year. Choose from active getaways you can take with your girlfriends, birthday weekend ideas for couples, as well as family trips. If you are looking for places to celebrate your birthday departing from specific cities, we've already written about amazing weekend escapes from New York City, San Francisco, Seattle, Atlanta, San Diego, Los Angeles, Chicago and other cities. 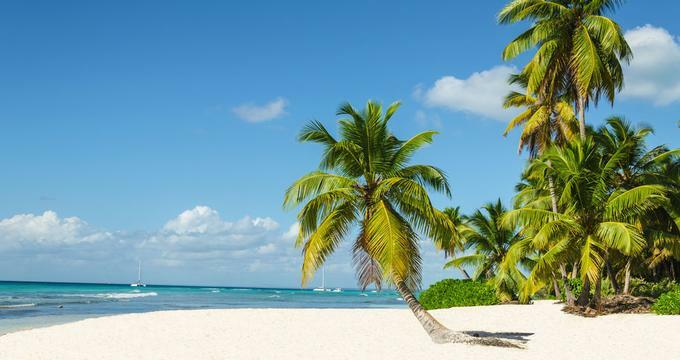 If you are looking for tropical places to go for your birthday without leaving the U.S., the Florida Keys or Hawaii are the way to go. Have fun relaxing on Key West beaches, exploring historic attractions and dining at great restaurants. Or check into a secluded island resort where you will be pampered with massages, sunset views and attentive service. Fly to Miami and spend a night dancing in South Beach before going on a scenic road trip to the Florida Keys. More awesome places to go for your birthday: Palm Springs, Bora Bora and Italy. If you are visiting for the first time, take a tour to get a quick introduction by an expert guide. Explore Brooklyn, Queens, relax at a day spa, and see some of the famous landmarks in Manhattan. Whether you are planning a romantic birthday trip or a family vacation, New York offers plenty to see and do for all ages. Find more places to celebrate birthday. If you are looking for birthday ideas on the West Coast, head to Washington State, relax on Oregon beaches and plan a road trip in California. Great Southwest destinations include Arizona, New Mexico and Utah. 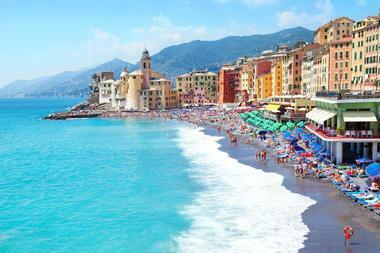 Those who love beaches will find great places to visit in California, Italy, Oregon, NJ, Michigan and Miami. Other fun places to visit in the U.S. include South Carolina, Alaska, Indiana and Southern California. Just steps from the beautiful white sandy beaches of San Diego, the Pacific Terrace Hotel takes luxurious seaside living to new heights. Boasting magnificent views, intimate privacy and award-winning service, this elegant four-Diamond hotel is a must for a romantic and opulent birthday getaway. The hotel’s 73 stylish guest rooms feature handcrafted wooden beds, hanging tapestries and silk ceiling fans. Private patios and balconies embrace breath-taking ocean views, while modern amenities and plush extras such as bathrobes and deluxe toiletries add a touch of glamour. Enjoy a workout in the state-of-the-art fitness center followed by a massage in the privacy of your guestroom, poolside, or in the couple's massage room. The heated oceanfront pool and whirlpool offer the perfect spot for relaxing with a view. While the Pacific Terrace Hotel does not have an onsite restaurant, it offers a wide variety of San Diego fine dining possibilities with a 'Charge Back' service, which allows you to sign your room number and pay your restaurant tab with your hotel bill. 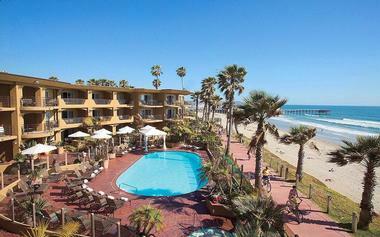 More ideas: Best California Weekend Getaways. Historic Kentucky charm meets modern luxury in this elegant southern gem. Nestled in the heart of Bluegrass Country near Lexington, exquisite accommodations, award-winning dining and gracious service come together at the Beaumont Inn to create a tranquil haven, which promises to leave lasting memories. Owned by one of Kentucky’s oldest families, the inn features 31 beautifully appointed rooms and suites in four historic buildings dotted around the magnificent grounds. 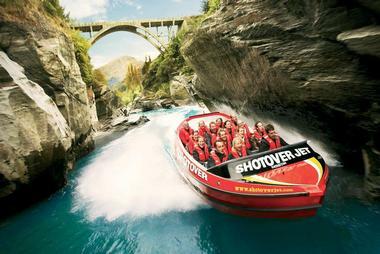 If you like speed and spectacular scenery, take a jetboat ride along the famous Shotover River Canyons in New Zealand. Shotover Jet, the only company permitted to operate in the these canyons, uses custom built boats to provide the ultimate thrill. The company is situated at Arthurs Point, six kilometers from Queenstown. Expert boat drivers maneuver the boat through the canyons. The boat stops from time to time to give passengers the chance to look around and absorb the scenery. The company provides life jackets and full length Spray Jackets. You can bring a camera aboard the boat or purchase one of the professional photos taken during the trip. If you are hungry after experiencing a wild adrenaline rush, the company offers casual dining overlooking the scenic river. Adult rides cost NZ$ 129. Reservations are required. You can catch a complimentary ride from Queenstown which departs every 15 minutes. The round trip including the transfer and the jet ride takes about 1 hour and 15 minutes. You may also like: 25 Best Things to Do in San Diego. If you are looking for the perfect place on the West Coast to celebrate your birthday with your family, Safari West in in Napa won't disappoint. This a 400-acre wildlife preserve is home to hundreds exotic mammals and birds. Stay in one of the luxury tents and cabins and you can see wildlife right from your bed. Luxury tent amenities include hardwood floors and full bathrooms. If you are traveling with a large family, the two-bedroom cottage is a great choice since it can accommodate up to eight guests. The indoor dining room is decorated with African murals and artifacts. Delilah's offers excellent sandwiches and salads which you can take with you. 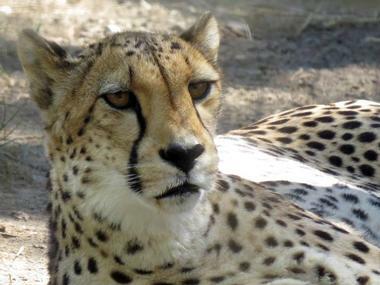 Tours in an authentic safari vehicle start at $70 for adults; the cost for children ages 3-12 is $32. Reservations are required. Safari tents cost $220 per night night for two people, each extra person is $25. Continental breakfast is included. A two-night minimum stay is required on Friday and Saturday, May through September. Find more places to celebrate birthday. Opening in the spring of 2015, the glamorous Gilded Hotel is an artwork in itself, offering luxurious accommodations, deluxe amenities and exceptional service. Conveniently located in the heart of Newport, Rhode Island, the hotel is close to attractions, lovely beaches, and an array of restaurants, galleries and museums. Gorgeously decorated suites suit every taste with king and queen-sized beds, en-suite bathrooms with private baths, Rococo and Beaux Arts-inspired décor and pampering amenities, including individual climate control, wireless Internet and iPads loaded with local information. Relax on the secluded patio by the open fire-pit and soak up the breath-taking views, enjoy a game of billiards on the full-sized table or croquet on the manicured lawns. A comfortable guest center offers refreshments all day, and personalized concierge services can help you plan your visit. Rooms start at $229 per night. A stylish eco-chic boutique hotel in the heart of Bend, Oregon, the Oxford Hotel is an ideal base from which to explore this unique mountain town. Conveniently located near a range of activities and things to do, this modern retreat offers comfortable accommodation, delicious cuisine and excellent service. Fifty-nine guest rooms and suites have been thoughtfully designed for absolute comfort. Sleek clean lines combine with plush décor to create cozy retreats, which boast spacious en-suite bathrooms and modern amenities. Additional hotel facilities include a state-of-the-art fitness room, an exclusive Jacuzzi Spa, sauna and steam room, a complimentary local shuttle and cruiser bikes, and access to some of Central Oregon’s premier golf clubs. Enjoy organic cuisine made from an array of locally sourced ingredients at 10 Below Restaurant. Delicious food is accompanied by fine wines and beers from local Northwest wineries and breweries. Rooms start at $259 per night. Next read: Best Time to Visit Amsterdam, Netherlands & Other Travel Tips. Fasano Punta del Este is a luxury design hotel with its own private beach on the Maldonado River that offers beautiful views of the sunset. It is also known as the meeting point of international high society in South America, alive with nightlife and fine dining. The property sits amidst the 1,000 acres of Estancia Las Piedras located on the highest point of La Barra with views of calm countryside, all located within minutes of the most beautiful beaches of Uruguay. There are 22 bungalows and 10 deluxe bungalow suites with 5-star amenities and spacious private terraces overlooking the Uruguayan countryside. Restaurant Fasano offers cuisines inspired by the flavors of the various regions of Italy. At the more informal and trattoria-style Las Piedras Restaurant, rustic Italian food is served for lunch and dinner. The Poolside Bar and Restaurant is open daily, serving lunch, dinner, sandwiches, snacks and sunset cocktails. Locally produced olive oil, wine and honey are used during Shiatsu massages and other body treatments at the spa. There is a beautiful rooftop Vichy hydrotherapy area, heated indoor pools, saunas, steam room, yoga classes, Pilates sessions and a fully-equipped state-of-the-art fitness center. The property has an exclusive 9-hole golf course designed by the legendary Arnold Palmer. The course is set in a farm field where golf lessons are also offered for 40 minutes a day. Guests enjoy endless choices of activities, from cooking classes to guided trips at antique shops, wine tours and museums. Lovers of the outdoors can go boating, biking and horseback riding at the equestrian center. Bungalow rates start at $450 per night. 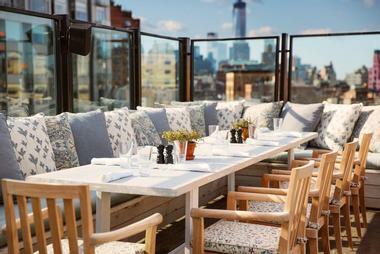 If you are looking for unique weekend getaways in NYC, Soho House New York is a private members club and hotel located in Manhattan's Meatpacking. On the 3rd floor of the hotel is the Cowshed Spa which has treatment rooms, a steam room, a gym and a relaxation area. Open to members and hotel guests, the Cowshed spa offers treatments with names like: pampered cow, stressed cow, and pummelled cow. This is a place where hotel guests can go to have the stress taken out of their tired bodies. You won't find any of the usual treatment names. Instead, treatments are based on the cow themed name. So after a hard day in the city head to the spa and try a 60 minute "pampered cow" or a 1 hour and 20 minute "stoned cow" therapy. All of the products are Cowshed's own blend of flower and plant oils. There is also a small gym and steam room.Treatment rates range from $60 for a quick 30 minute "stressed cow" massage to $325 for a "day at the Cowshed." Call 212-627-9800 to book your appointment. Enjoy the outdoor rooftop pool on your weekend getaway at this romantic NY hotel. There are 24 oversized bedrooms ranging in size from 350 to 950 square feet. Bedrooms feature crystal chandaliers, plasma screen TV, DVD player, and high-speed internet access. The larger rooms have free standing bath tubs for two, and all bathrooms have walk-in showers. The restaurant has views over downtown Manhattan and the Hudson River, perfect for a romantic celebration. 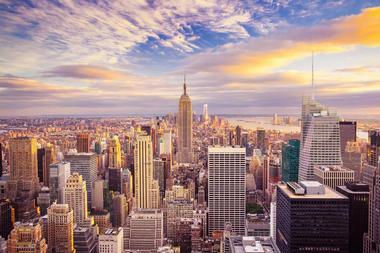 The hotel is at the intersection of 9th Avenue and West 13th Street in downtown Manhattan. Room rates for non-members range from $395 for a "playpen" to $1,150 for a "playground". 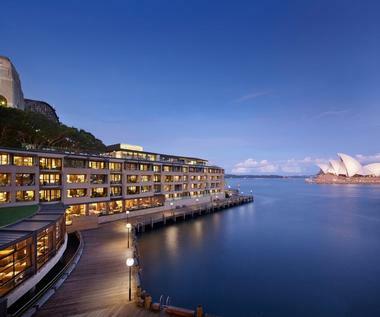 If you are looking for unique ideas for couples, Park Hyatt Hotel Sydney is a luxury getaway on the water's edge of Sydney Harbour with scenic views of the famous Harbour Bridge and the Sydney Opera House. The hotel has a heated rooftop swimming pool pool, dedicated 24-hour butler service and a health spa. Iluka Spa offers an array of treatments, including massage, facial care, Vichy shower, body wraps, aromatherapy, pedicures and manicures. The hotel has 158 guest rooms and suites featuring private balconies with views of Sydney Harbor, a great romantic idea. The hotel's restaurant harbour kitchen & bar offers scenic views of the through floor-to-ceiling folding glass doors. Watch the food being prepared by the hotel's executive chef Danny Drinkwater. The hotel has two bars; harbour bar serves martinis, champagnes and boutique beers. The Club Bar has an open fire and offers a selection of cognacs, whiskies and a Cuban cigar humidor. Browse more romantic ideas for couples. Room rates start at 425 Australian dollars. 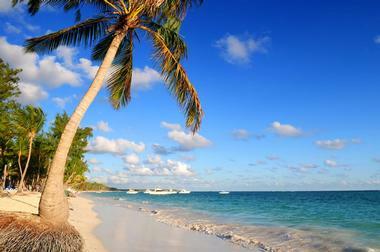 Next read: Best Beach Vacation Spots in Australia. Surrounded by the white sandy beaches of Playa Mujeres, Beloved Playa Mujeres Resort is a luxurious all-inclusive beach resort in the heart of Cancun. Fringed by azure waters lapping golden-sanded beaches, this tropical retreat enjoys an inland marina and Greg Norman-designed golf course. Inspired by Mexico’s rich cultural heritage, lavish suites feature contemporary-chic décor and deluxe amenities, including fully stocked mini bars, satellite television, and air-conditioning. Luxuries include ocean views, rooftop terraces, and pool access, all of which boast spacious living areas and en-suite bathrooms with rain showers. Enjoy an array of Mexican delicacies at Lupita, head to Isla Grill for fine dining with a contemporary-chic ambience, or toast the setting sun with a colorful cocktail from the iconic El-Mar Bar as you look out over the Sea of Cortez. If you are looking for things to do for 20th birthday, head to the spa which offers a variety of pampering body and facial treatments, or simply lounge by one of the three sparkling swimming pools or four Jacuzzis with a drink as you soak up the breath-taking surroundings. There is a complimentary Kids Club for children aged four to 12 which offers water-based games, baking, video games, traditional Mexican piñata-making and other fun activities. Junior Suites start at $462 per night all inclusive. Guest rooms at Virgin Hotels Chicago feature an innovative design with sliding privacy doors between the bedroom and the dressing area. You can control almost everything on your personal device, and Wi-Fi is included. The room design is slick and modern, with bold red accents such as the mini bar, the desk lamp and a few red tiles in the shower. 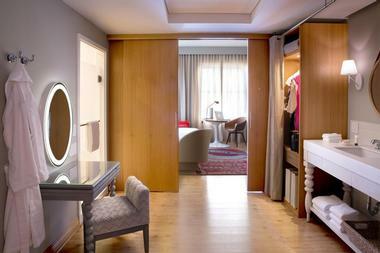 The suites offer extra space, elegant sofas and a charming vanity area where you can get ready for your night out. The hotel is centrally located in the Loop. The Commons Club at Virgin Hotels is a restaurant, bar and lounge with a feel of a private members club. 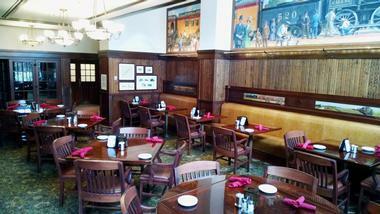 Meet fellow travelers during the nightly social hour at the Commons Club which also serves breakfast, lunch and dinner. The hotel has a rooftop gym. The wellness lounge is opening in the spring of 2015. Rooms start at $239 per night. More vacation ideas: 25 Best Romantic Spa Weekend Getaways in the U.S.
Sandals Royal Plantation in Jamaica offers beautiful suites with ocean views and butler service. There are seven categories of suites to choose from. Each suite features Italian bed linens, custom-crafted mahogany furniture, king-size beds, individually controlled air conditioning, ceiling fans, in-room bars, sitting and dining area, data ports, private marble bath and shower, safes and satellite TV, CD player and I-Home docking station. 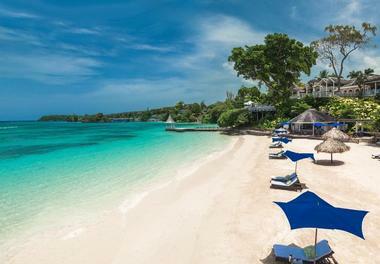 Enjoy relaxing couples treatments at the spa and explore Jamaica's beaches. The hotel is all-inclusive which means that you won't have to worry about individual fees for activities that you want to try (although some services like spa treatments are extra). If you have a scuba diving license, there is free diving on several coral reef sites ranging from 20ft-130ft in depth. Guests can also play free golf on the scenic Sandals Golf & Country Club. All-inclusive rates in a suite start from about US$1,310 per night. You may also like: 17 Best Things to Do in Orlando, Florida. 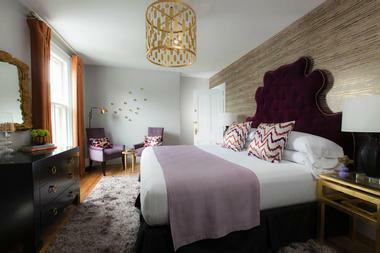 Capturing the true essence of the American Midwest, Hotel Pattee is an elegant boutique hotel that offers comfortable accommodation, excellent local cuisine and warm and welcoming service in the historic town of Pattee, Iowa. Individually designed and decorated rooms celebrate the history and culture of the area through local artworks on display. Featuring oversized beds, spacious en-suite bathrooms, plush bathroom amenities and wireless Internet access, rooms are comfortable and homely, while some rooms boast spa tubs and wood-burning fireplaces as added luxuries. Dining is a delight at the Hotel Pattee where David’s Milwaukee Diner serves an extensive menu of delicious All-American fare. Enjoy a drink after dinner at the Inter-Urban Lounge where you are bound to meet some of the locals. The hotel offers guests the use of an exclusive fitness center, complete with sauna, steam room and self-cleaning hot tub with purified water, as well as the renowned and popular Arthur "Oley" Olson bowling alley. Rooms start at $149 per night. Tucked away in the heart of the Berkshires, Brook Farm Inn is the perfect romantic getaway. Conveniently located within a short walk of Lenox, this charming inn is an ideal base from which to explore the area. Beautifully appointed rooms are comfortably furnished with cozy fireplaces, en-suite bathrooms with whirlpool tubs, romantic canopy beds and luxurious amenities. Decorated with antiques and plush carpeting, rooms have lovely views over the landscaped gardens and offer serene havens in which to relax. Take to the aroma of freshly brewed coffee and a sumptuous breakfast being served in the dining room. Enjoy high tea in the afternoon in the comfortable library and head out to one of the many excellent restaurants around the inn for a delectable dinner. Unwind with an array of indulgent spa services and body treatments at the inn or explore the area’s many museums and galleries, chic boutiques and quaint stores. Take in a summer concert at Tanglewood or attend a play at the Berkshire Theatre Festival or Shakespeare & Co. Hike the Appalachian Trail in summer and go skiing and show shoeing in winter. Rooms start at $189 per night. French Lick Springs Hotel at French Lick Resort in Indiana has 443 guest rooms and suites, a pool complex with indoor/outdoor pools, hot tub and fitness center. The hotel offers both casual and fine dining options. The property is famous for its nearby sulfur springs.Activities include three golf courses, shopping, programs for kids, casino, horseback riding and historic tours. The Spa is a 27,000 square foot facility, complete with mineral springs healing waters which have drawn visitors for over 150 years. Chicago is a 5-hour drive away. West Baden Springs Hotel was originally built in 1902. The property features a huge atrium with a dome and guest rooms which rise six tiers around the dome. There are 243 luxury guest rooms and suites, an indoor lap pool, salon, and fitness center. Play scenic golf on three golf courses, dine at fine restaurants, take historic tours, go horseback riding and enroll your kids in a variety of age-appropriate programs. French Lick Resort is a full-service vacation resort in Indiana, offering two hotels and many things to do. The property offers three unique golf courses and the Golf Academy where guests can improve their game. 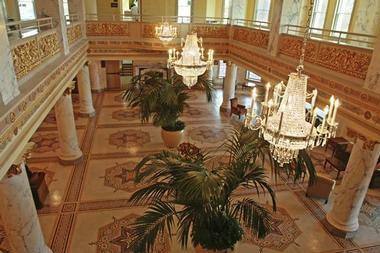 There are two spas at the resort, the one at West Baden and one at French Lick. Enjoy programs for kids, many pools, shopping, a casino, concerts and other entertainment. The resort is located 5 hours from Chicago and 2.5 hours from Indianapolis which makes it a great weekend getaway. 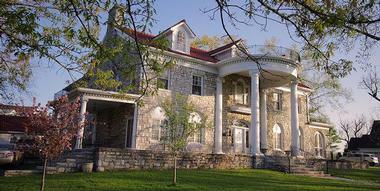 The hotel is a National Historic Landmark dating back to 1902, famous for its nearby sulfur springs. If you are looking for green vacation ideas, the Daintree Eco Lodge & Spa in Australia is a great place to relax and unwind surrounded by a tropical rainforest and beautiful waterfalls. You can take snorkeling and scuba diving trips to the Great Barrier Reef from Port Douglas, 40 minutes from the lodge. Or simply stay at the spa and indulge in therapeutic treatments that range from massages and body wraps to naturopathic treatments and consultations. Birdwatching is another perfect way to spend a day, spotting an array of colorful birds in the Daintree Rainforest with nobody to disturb you. 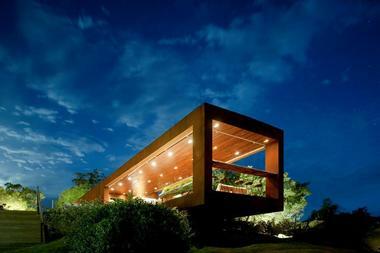 Since the lodge has only 15 secluded villas, you can enjoy as much privacy as you want on your green vacation. 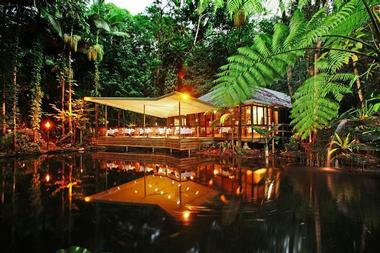 The lodge has 15 rainforest villas that blend remarkably with the surroundings. The villas have air conditioning, tea & coffee making facilities, satellite TVs and spacious bathrooms. Ask for a Spa Villa if you want a Jacuzzi on the balcony. The chefs at Bilngkumu Restaurant incorporate fresh local ingredients, such as exotic Queensland fruits and tropical reef fish, in the daily menu. You can also choose from light spa dishes which will complete the healthy experience at the Daintree Eco Lodge. Fly to Cairns and drive north along the scenic Cook highway to the lodge (a 90-minute drive), or ask the hotel to arrange transportation for you. Villa rates start at 490 Australian Dollars, including breakfast; Spa Villa Rates from 540 Australian Dollars per night. Picture a romantic gondola ride, Venetian-syle suite and scenic views that form the perfect backdrop for your birthday trip. The atmosphere is Venice is quite unique and the only way to get around is by boat or on foot. The are many beautiful hotels, cafes with a view and romantic restaurants. If you are interested in art, Venice is home to several great museums. Or visit a glass blowing factory, go shopping and feed the pigeons in St. Mark's Square. 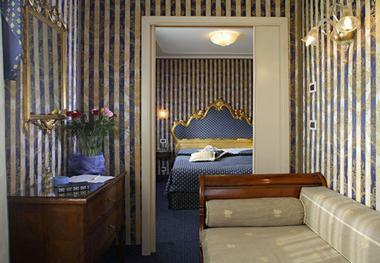 Hotel Concordia is located in the corner of St. Mark's Square in Venice. If you are going for romance at the Concordia, you have to get a room with a view of Piazza San Marco. When you wake up, you will have a great view of the square. Doubles start at 190 Euros. Find more places to celebrate birthday. If you want to get away from it all - your job, the winter cold and even your honey - check into Escape Haven, a tropical retreat for women where you will spend your days surfing, practicing yoga and relaxing in the sun. Perfect for 30th birthday celebrations, this holiday will let you relax as well as get in shape. The company offers two tropical locations: Bali, Indonesia and Byron Bay, Australia. The luxury resorts make you feel pampered from head-to-toe while you try a range of fun activities. The surf & yoga retreats last a week and include spa treatments, fitness classes, cooking lessons and detox. 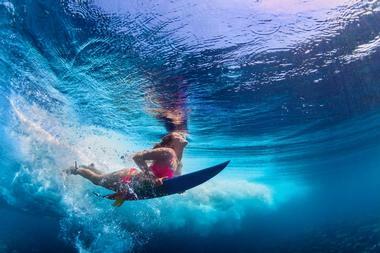 For those who've never surfed, the company offers beginner classes taught by women in warm tropical waters. You will be able to learn at your own pace in a friendly, supportive company. Guests are accommodated in luxury villas and houses, offering all of the modern amenities such as cable TV, DVD players and air-conditioning. Butlers are available 24/7 to serve breakfast, tea or prepare a relaxing bath. The bathrooms are spacious and luxurious, perfect for a relaxing soak at the end of a surfing day. All-inclusive week-long luxury surf packages in Bali start at $2,595 USD per person in a triple room. The Australian location is slightly more expensive, starting at $3,095 AUD per person for a week. 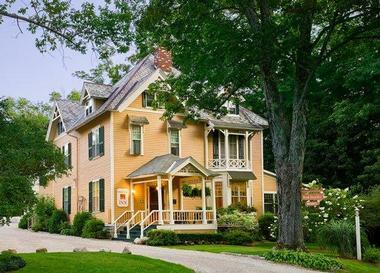 Colonial charm meets contemporary-chic in this historic family-friendly New England getaway. Located in the heart of Plymouth, with beautiful views of the Brewster Gardens and Jenney Pond, the John Carver Inn & Spa is an ideal base from which to explore the area. Eighty luxuriously furnished, colonial-style guest rooms are comfortable and cozy, with king or queen-sized beds, spacious en-suite bathrooms with showers, individual climate control and modern amenities, such as wireless Internet. Some rooms boast open fireplaces and oversized Jacuzzis for those wanting a touch of romance. Dine at the award-winning Hearth ‘n Kettle Restaurant where you enjoy fresh Cape Cod cuisine with a twist in an elegant setting, or sip crisp craft beer around the enchanting Waterfire Fountain at the Waterfire Tavern. The exclusive Pilgrim Cove Indoor Pool is home to water slides, waterfalls, and a soothing Jacuzzi set amidst a replica of Plymouth Rock. The full service Beach Plum Spa offers relaxation and rejuvenation that you deserve on your birthday. Rooms start at $123 per night. More vacation ideas: 25 Best Things to See & Do in Cape Cod. There is something magical about celebrating your birthday on a sun-drenched tropical island like Maui. A helicopter flip with Blue Hawaii Helicopters sets the scene for romance before a sunset beach walk. Relax on sunny beaches or head for Awapuhi Adventures or Aqua Sport Maui to enjoy some energetic water activities like paddle boarding, kayaking tours or scuba lessons. Adventurous couples will enjoy the side-by-side zip line canopy tour at Pi’i holo Ranch or hiking hand-in-hand among craters and waterfalls with Hike Maui. Art lovers should head to Hui No’eau Visual Arts Center or the Maui Theater to round off their trip. Boston is the ideal place to spend a romantic weekend. The city is positively bristling with history; learn all about it as you stroll along the Freedom Trail, visit the Kennedy Presidential Museum or enjoy the Boston Tea Party Ships and Museum. Close by you can explore the shops, galleries and eateries along the New Waterfront or head to the Museum of Fine Art or the Isabella Stewart Gardner Museum. Stroll hand-in-hand through the beautiful Public Gardens before you round off the day with yet more history (and beer!) on an Olde Tavern Tour, enjoy a fine lobster dinner or watch a game at Fenway Park. What could be more romantic than starting your trip in Boulder doing some star gazing at the Sommers Bausch Observatory? If you both love museums, Boulder will not disappoint – visit the History Museum, Natural History Museum, Western Art Museum and the Museum of Contemporary Art. The Dairy Center for the Arts showcases many art forms under one roof, while the Boulder Philharmonic and Chamber orchestras cater to music lovers. Don’t miss the afternoon Tea Ceremony at the Dushanbe Teahouse before enjoying artisan beers on an Avery Brewery Tap Room Tour or a food or cocktail tour with Local Table Tours. Myrtle Beach, South Carolina is a great place to spend a romantic weekend soaking up the sunshine and playing a few rounds of golf on some of the many golf courses in the area. A good way to start your weekend is with a romantic sunset walk on the beach or Boardwalk and a ride on the Skywheel. Broadway on the Beach has great shopping, dining and entertainment, and active couples can learn to surf with lessons and gear from the Surf and Paddleboard Company. Camping and fishing enthusiasts should head to Myrtle Beach State Park, while art lovers should not miss the Burroughs-Chaplin Art Museum which boasts several permanent collections. Carmel-by-the-Sea, California has long been famous as a center for Arts and Culture and a great beach destination, making it ideal for a quick weekend trip. Enjoy one of the best coastal scenic drives in the world along 17 Mile Drive before heading into Point Lobos State Reserve to hike or snorkel. Carmel River beach is brilliant for boarding and kayaking. Enjoy music at the Sunset Cultural Center or the Golden Bough Playhouse and feast your eyes on the art at Carl Cherry Center or Westbrook Modern. Foodies will enjoy a wine tasting at Caraccioli Cellars or a visit to Carmel Valley Coffee roastery. Memphis, Tennessee is the ideal destination for music and food lovers. The city is dotted with historic musical attractions like Sun Studios, Graceland and the Memphis Rock ‘n Soul Museum which will thrill all Elvis Presley fans. An evening of entertainment along Beale Street’s numerous clubs or the Levitt Shell will get your feet tapping and you can sample the visual arts at the Dixon Gallery, the Memphis Brooks and Belz Museums of Art. Foodies head to the Cooper-Young Historic District for a wide range of restaurants while the Memphis Botanical Garden and Shelby Farms Park beckon nature lovers. Offering a combination of beautiful desert vistas and warm sunny weather, Palm Springs is hard to beat for a relaxing holiday in Southern California. If you love the great outdoors the Mount San Jacinto Park, Coachella Valley Preserve and Tahquitz Canyon are waiting to be explored – Desert Adventures offer guided hikes. You can also take the romantic rotating Palm Springs tramway up to the Mountain top for amazing views. Try to start your weekend on Thursday, to enjoy the weekly Village Fest in Palm Canyon Drive for shopping, dining and entertainment. Palm Springs has great golf courses and there are Yoga sessions every Saturday morning at the Wellness Park. Fabulous Chicago has all the right ingredients for a great vacation. Start with an amazing view of the city from the 360° observation deck on the 94th floor of the John Hancock Center, before heading to The Garfield Park Conservatory and the Alfred Caldwell Lily Pond (in Lincoln Park) for a romantic stroll. When the sun sets, Magnificent Mile – 13 city blocks of hotels, shops, restaurants and entertainment venues – beckons. For a taste of Chicago culture, visit the Looking Glass Theater Company, the Symphony Center or the stunning Art Institute of Chicago. There is also a huge selection of museums to suit all interests, a Zoo and an Aquarium. Brooklyn is a fun destination, offering activities for all tastes. Two of the most romantic outdoor places to stroll around are Prospect Park and the Brooklyn Botanical Gardens, which has a sensational Japanese Hill-and-Pond garden and one of the largest collections of roses in America. Learn all about the history and culture of Brooklyn on a walking tour by Free Tours on Foot and be sure you don’t miss Smorgasburg – Brooklyn’s amazing Saturday all-food market. For cultural pursuits there is BRIC Arts Media for performing arts and BAM (Brooklyn Academy of Music) as well as many museums and art galleries. Be sure to sample the romantic restaurants on our list. San Antonio is bursting at the seams with interesting and romantic attractions and restaurants to help you celebrate your birthday. You can learn about the Spanish influences in San Antonio by visiting the San Antonio Missions (a World Heritage Site dating from the 1700’s) and the famous Alamo, before making your way to Main Plaza where art, entertainment, restaurants and shopping all vie for your attention. Adventurous couples will enjoy exploring the Hidden Passage Tour at Natural Bridge Taverns, while art and culture lovers should head to the Majestic Theater and the Museum of Art. For Foodies there are dinner and cocktail river cruises and the Central Market Cookery School.